KJB Flooring Ltd - Carpets/Flooring based in Nelson Way, Northumberland. 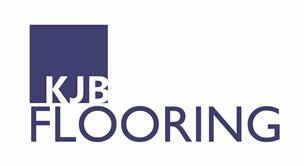 KJB Flooring Limited has now been in existence for approximately 13 years. We Undertake all types of flooring work and our client base extends from one off domestic customers to large contracting organisations including NHS Trusts. Our portfolio of projects is extensive and includes high quality fit-outs with Whitehaven Sports Centre, Cheshire Country Club, St Nicholas Hospital & Northgate Hospital being just a few of our most recent successful commissions. We've recently opened an 11,000 sq/ft warehouse in Admiral Business Park in Cramlington, and stock over 4000M2 of domestic & contract carpets, carpet tiles, sheet vinyl, safety flooring & cushion flooring. We also stock Primers, DPM's, Screeds and Underlays. We hold a full range of Luxury Vinyl Tiles including Amtico, Victoria, Karndean, Polyflor, Camero & Cavalio. We can offer competitive prices on all the above products.